Aligning your products and media energies to show positive actions that are happening in the United States is what we as a people need. We need to calm the rhetoric, and this A&E program is not doing that. It is inciting violence where there need be none and where there is no reason for hatred or violence. I am writing to you because your advertisement is sponsoring an A&E TV program that feeds the climate of prejudice and hate that is plaguing America at this time. With what occurred in Charlottesville we need to broadcast the good things that are being done. If you were to compare what Leah Remini is saying to actual facts on the good that the Church of Scientology does, you would see a vast and glaring discrepancy. Aligning your products and media energies to show positive actions that are happening in the United States is what we as a people need. We need to calm the rhetoric, and this A&E program is doing the opposite. It incites violence where there need be none. 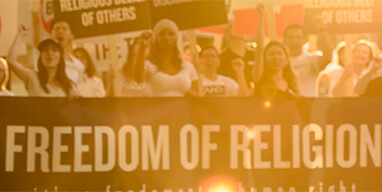 We as Americans possess as our basic principle the freedom of religion. Our country was founded on this principle at a time when religious expression could be dangerous and witch hunts were common. We do not want to return to that time in history. Please pull you sponsorship of this program.